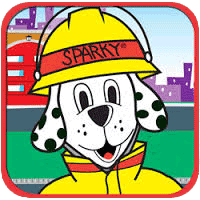 We do not want to waste time searching for the right house in an emergency. 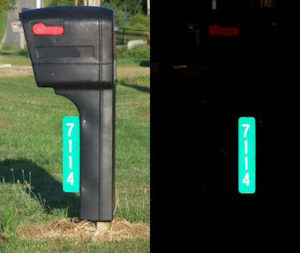 In many areas house numbers appear on mailboxes that are grouped together and don’t clearly indicate which house is the correct one. Non reflective numbers on the house don’t help, especially if the house sits way off the road. To help alleviate this, we are now offering green reflective signs that will allow you to help us locate your house in an emergency. For a cost of $10, you may pick up the sign at our Station 1 or, a firefighter will personally deliver the sign to you. (Burnt Hills fire district and surrounding areas only) In either case, the sign is complete and ready to install with the requested number. The sign can be mounted either vertically or horizontally. Please fill out the form to the right, to email Burnt Hills Fire Department your request. Alternatively, you can click here to download a PDF version which can be filled out before printing or printed first then filled out. We ask that the sign be mounted at the end of the driveway servicing the home. If a mailbox post is not located conveniently we suggest a separate post to mount the sign on. We can assist with placement if need be. 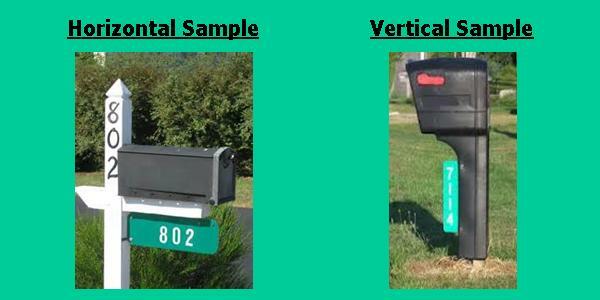 The standard size for mailbox signs is 6″ x 18″. Sign blanks are made of .063 gauge aluminum which means they will not rust and are heavy enough not to be easily bent. Both the background and numbers are made of reflective vinyl (not painted) which also should last for many years. To contact you prior to delivery or pick-up. Enter the house address desired. Max 5 digits, numbers only. You may pick up your completed sign at our Station 1 at 811 Saratoga Rd, Burnt Hills. Where are we delivering the sign? Choose which direction the sign will be displayed. Currently our only option is to collect payment upon delivery or pick up.